She doesn’t want anyone to know and don’t tell her I ratted on her. 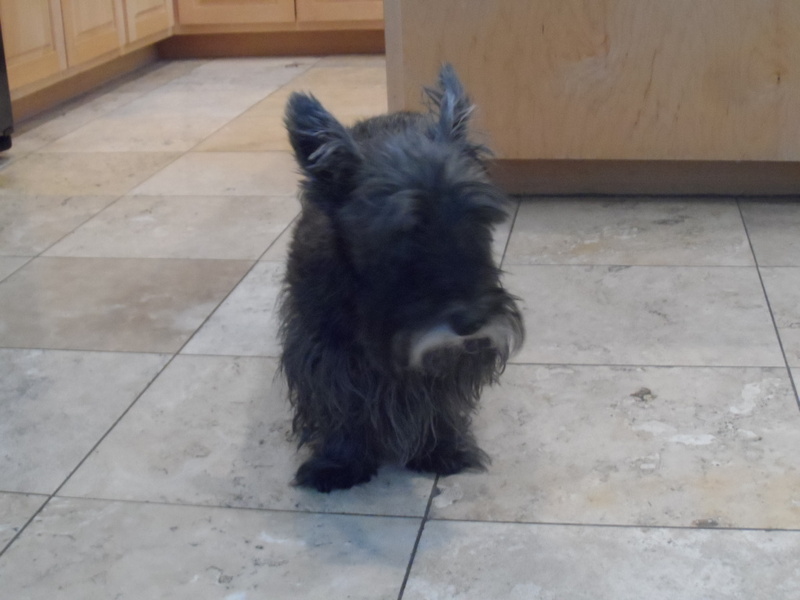 Kyla turns 12 today (July 25th here but the 26th in most of the world) and she’s the oldest living Scottie in Blogville. She doesn’t want to be known for being old, just for being herself. I wish I could have posted this under the name of Somedoggy who has to be good for something but Kyla would see right through that. That’s it for now, I gotta run and take cover until the wrath of Kyla blows its course in case somebody rats me out. 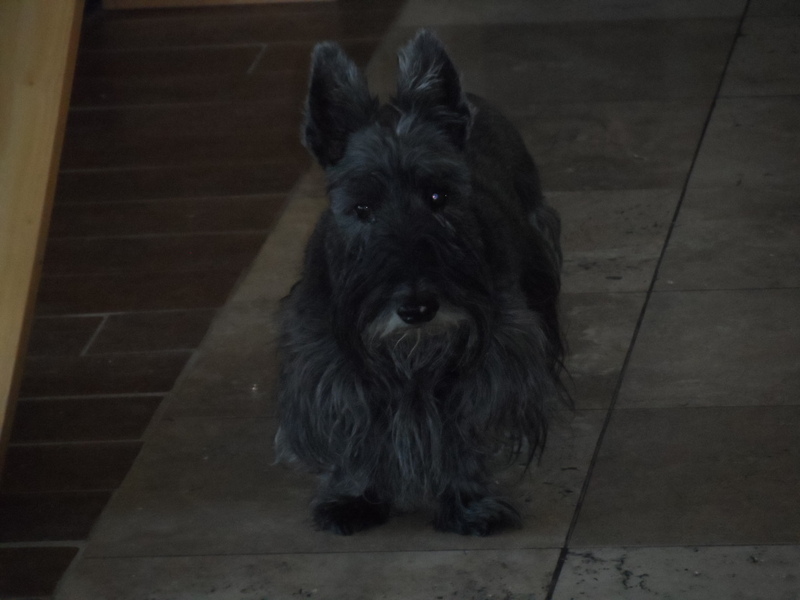 Also don’t tell her that I hope she gets to 13, although the odds are starting to be against it for a Scottie. Remember, Mum’s the word. If all hell breaks loose, I can always blame Kali and Kismet. Anyway, it’s just a number! We hope she got a WHOLE bushel of green beans for her birthday! Carys was our oldest scot (so far) a little over 12.5. We’re sure Kyla can beat that! Happy Birthday, distinguished scottie friend. I would relay this to her, but maybe anonymously so she doesn’t know who told. Aaaarrrroooo! What a fantastic day to celebrate a birthday! We hope the bun-buns and lizards all stopped by to wish you a happy day. 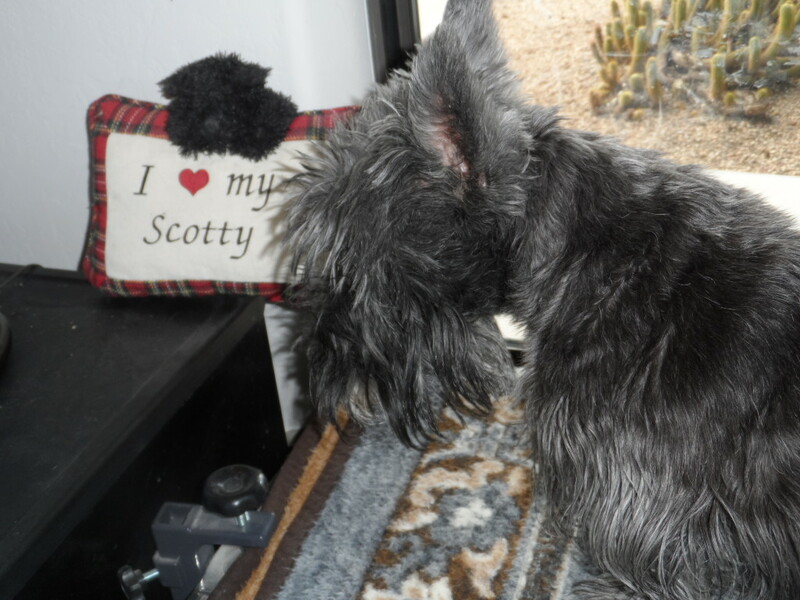 My peep said most of the Scottie’s she had growing up lived to about 15. She said Kyla has enough feistiness to live a long, long time! If feistiness is the factor, she’ll be 100. Happy 12 years old, Kyla!!! May you have a fantastic year ahead!! Happy birthday Kyla! And 12 are not old, I’ll be join in ya in being 12 in bout a month and a haf. 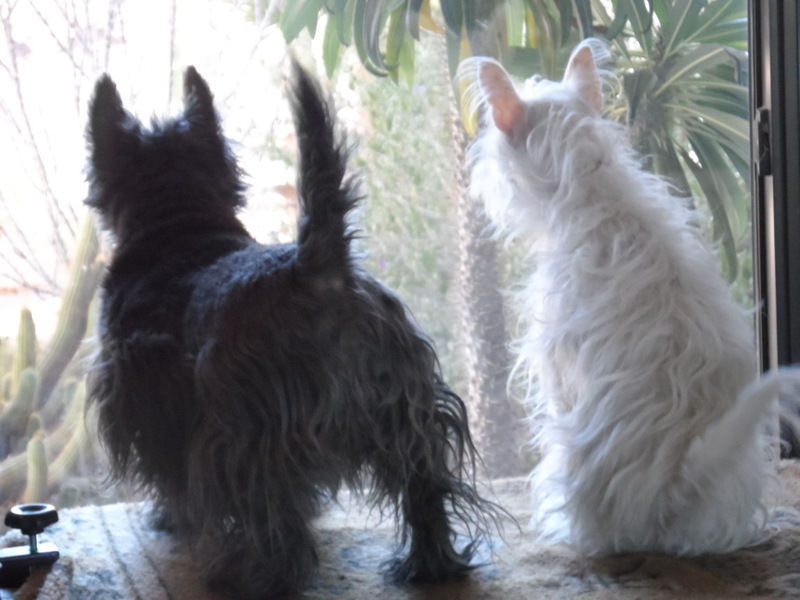 Kyla would point out that Westies live longer in general. Happy 12th Birthday Kyla. We hope your special day is a good one filled with fun and treats. Enjoy. Have a super Saturday. Thank you Molly-Kyla’s napping but I’ll tell her some day. Happy birthday to Kyla, and congratulations to Kali and Kaci for keeping Kyla young! It’ a tough job, but Kali and I are up to it. They still won’t let any of us into the movies so we all know how she felt. Softer, she might hear you and give me away. HAPPY BURTHDAY KYLA!!!!! Oooops, sorry! shhhhhhh…..hey, you just have your peeps give her some extra green beans from me, okay?! Oh, and I’ll send over a margarita too! Can’t have your Burthday without a margarita!!! I’m gonna intercept that one-all for myself. Happy Big 12 year old UnBirthday to Kyla. Glad she has Kaci and Kali to keep her young and make her think she is in charge. ARRROOOOOO softly speaking. She’s napping right now and didn’t wake up. If she ever finds out, I’m dead. Kyla, you should be proud of your age. Your younger siblings keep you on your toes and keep you young. Do not be mad at Kaci for loving you and wishing you well. HAPPY BIRTHDAY from a;ll; of us. She’s still napping and sleeping off her b’day dinner. I think maybe I’ll let her in on what I did, but I have to have an escape route ready. `*.¸. *✻ღღ Happy, Happy Birthday Kyla! We know how these birthdays are so special, and real milestones! We send wishes for a day full of all your favorite things, and make a wish ourselves that you celebrate #13 too!!! 12 and looking like the regal Scot you are. Now my first Scot lived to be 16. I want to see you break his record. Happy Birthday dear Kyla. We CANNOT believe we missed this post!!! Kaci, you are a good sister – we’ll protect you if need be, just give us a bark. You’ll make it to 15, Kyla! Happy belated! Happy Barkday!!! Kyla girl I am sure you will make it to 13, in fact our Misty made it to 15 and she had a Scottietude just like yours so you’re in good shape! That’s for certain. I’ve been the oldest Scottie in Blogville for a while-nobody’s gonna catch me.